The Organizing Committee of the 43rd Chess Olympiad and the Georgian Chess Federation dedicated one more beautiful event to the upcoming Olympiad: the 40 year anniversary of Maia Chiburdanidze’s World Championship title was celebrated with a match against Nona Gaprindashvili on September 4 in Kakheti, Ilia lake! The symbolic battle, which was attended by the heads of the Olympiad’s Organizing Committee, the officials of Kakheti and the supporters, ended in a draw 1,5:1,5. Maia Chiburdanidze won the first blitz game, the second ended in a draw, and the third was won by Nona Gaprindashvili. 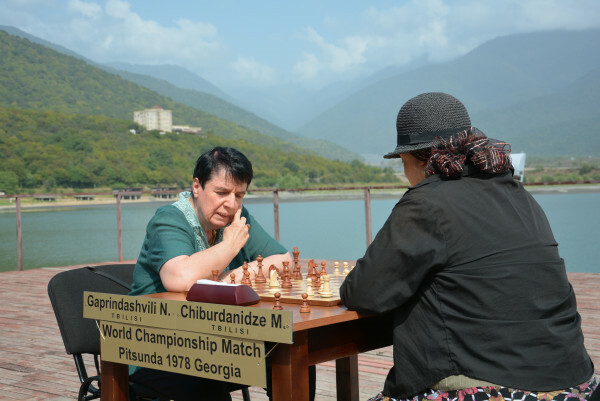 The five-time World Chess Champion Maia Chiburdanidze achieved the chess queen crown in 1978, by winning a match against Nona Gaprindashvili. The Championship match was hosted by Bichvinta. Mrs. Nona is a five-time World Chess Champion as well, and both are the goodwill ambassadors of the 43rd World Chess Olympiad. “I cannot even believe that 40 years have passed already… I’m happy that this happening was celebrated so beautifully! 40 years ago I won the World Championship title in Bichvinta and now I played with Nona in Kakheti… It was a beautiful and exciting day, thank you to everyone, the Georgian Chess Federation, the Organizing Committee of the 43rd Chess Olympiad, the supporters… Everyone, who celebrated this day so beautifully. I would like to celebrate this win on its 50th anniversary as well”, - said Maia Chiburdanidze. “Thank you to our legendary chess players, who are really worthy of being proud of, that they agreed to participate in this beautiful event. Both Mrs. Nona and Mrs. Maia are the embellishments of Georgian sports, they not only made our chess known, but Georgia in general. 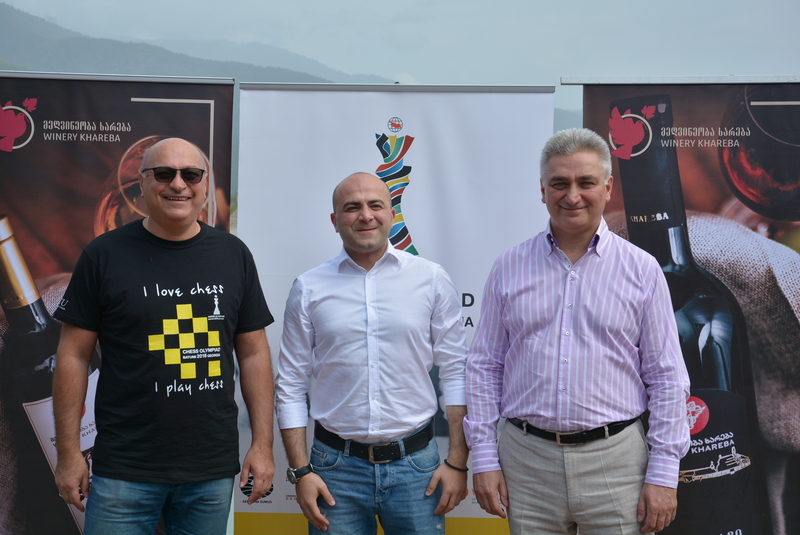 I hope that everyone was very delighted and satisfied with this day”, - said the Georgian Chess Federation President, the Chairman of the Organizing Committee of the 43rd World Chess Olympiad Giorgi Giorgadze. The heads of the Olympiad’s sponsor – “Winery Khareba” – were also present at the match between Maia Chiburdanidze and Nona Gaprindashvili. With the decision of the heads of the company, the “Winery Khareba” will dedicat the wine series specially bottled for the 40th anniversary of Maia Chiburdanidze’s title of the Champion. “I’m glad to be attending such a beautiful day. Supporting Georgian chess is a great honor for our company and I’m certain that we will make our humble contribution to its progress. As for today’s anniversary, in honor of our pride-worthy World Champions we decided to bottle a special wine series, which will be united in two bottles and dedicated to the 40 year-old match”, - said the Director General of the “Winery Khareba” Giorgi Ezugbaia. 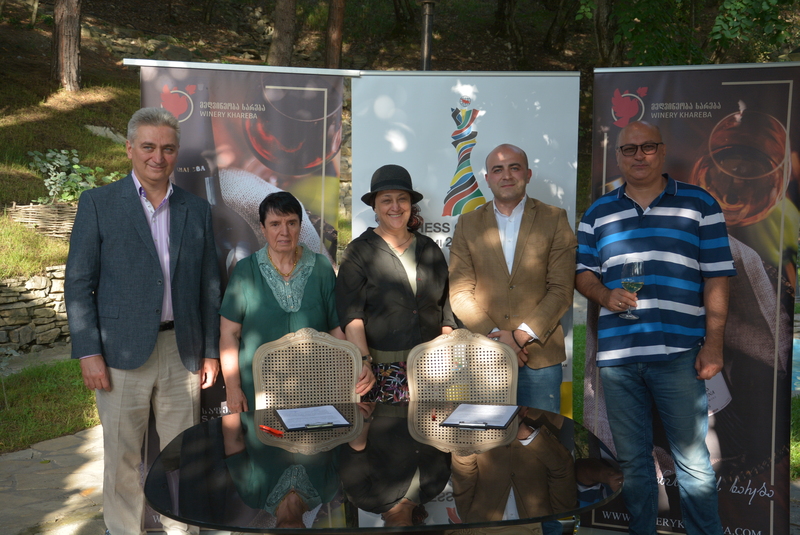 At the end of the day, the “Winery Khareba” hosted the anniversary event participants in Kvareli, at the wine tunner, where Maia Chiburdanidze and Nona Gaprindashvili signed a symbolic agreement.